For the next 8 weeks, the main subject at the Stirling Smith Art Gallery and Museum will be the story, the glory and the environmental importance of Scotland’s peat bogs. The carse lands in and around Stirling were formerly peat bogs, created through the growth of mosses. 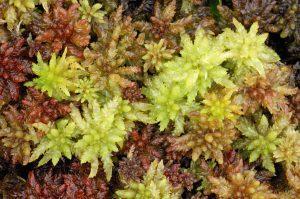 The healing properties of sphagnum were well known in two world wars and the environmental importance of Flanders Moss is now recognised. The Flow Country touring exhibition is presented by the Peatlands Partnership, working with the Heritage Lottery Fund, the RSPB, Scottish Natural Heritage, the Highland Council and the Environmental Research Institute. The Flow Country which stretches through Caithness and Sutherland in the far north of Scotland is the best blanket bog of its type in the world and hugely important for biodiversity. The area is also of key significance in Britain’s efforts to mitigate climate change. There is more carbon locked up in the peat of the Flow Country than in all of the UK’s forests combined. Keeping this carbon locked away is vital in helping to regulate the planet’s climate and work is ongoing to restore areas damaged by past management. The exhibition lets you explore the bogs without wetting your feet, and there will be a series of 6 free lunchtime talks on Thursdays from 1 February.